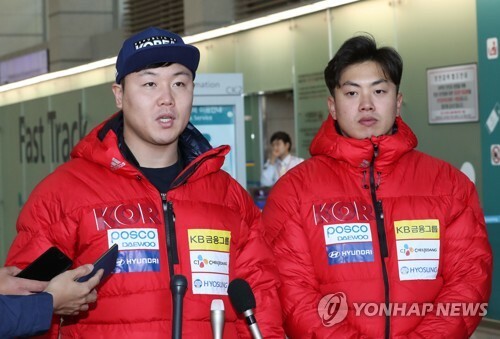 SEOUL, Jan. 24 (Yonhap) — Two years ago, South Korea’s bobsleigh tandem of Won Yun-jong and Seo Young-woo were at the top of the world and were considered a strong medal hope for PyeongChang Winter Olympics. Since then, Won, the pilot, and Seo, his brakeman, have had up-and-down seasons that raise concerns for their Olympic performance. Two weeks before the Olympics, however, they remain confident their roller coaster ride will end on a high note at the games. Before skeleton slider Yun Sung-bin, the two-man bobsleigh team of Won and Seo were the first Asians to finish the season with a world No. 1 ranking in sliding sports, where Europeans and North Americans usually dominate. Won and Seo won the overall title at the 2015-2016 International Bobsleigh and Skeleton Federation (IBSF) World Cup season with two golds and three silvers. Last season, the tandem failed to record a victory and fell outside the top 10 at two World Cup stops, though they managed to take third place in the IBSF season rankings. Adjusting to a new sled, apparent discord within the coaching staff and injury problems were cited as reasons for their inconsistent performance last year. For this season, the South Korean duo competed in only three of the eight IBSF World Cups. They finished 10th and 13th, respectively, for the first two World Cups in the U.S., but managed to do better at the next World Cup in Canada with a No. 6 finish. Instead of competing at the World Cups, Won and Seo have been training at the Olympic Sliding Centre in PyeongChang since December to get more used to every curve and turn of the course. All 16 IBSF-approved tracks in the world have different course settings, meaning those who’ve raced many times on the Olympic track in PyeongChang will have a better chance to perform well at the upcoming Games. The South Korean sliding track was competed in October 2016. With this home field advantage, Won and Seo hope their hard work will see fruit. They’ve also recently ended controversy regarding their sled. For the Olympics, the pair will use a Latvian made-BTC sled instead of a domestic sled manufactured by Hyundai Motor Co., South Korea’s largest automaker. Won entered the world of bobsleigh in 2010 when he was attending Sungkyul University in Anyang, Gyeonggi Province. While his future goal was to become a physical education teacher, an unexpectedly successful national team trial for the sliding sport changed his career. 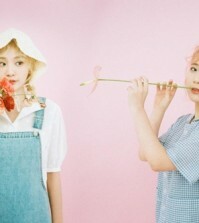 Seo, who is also alumnus of Sungkyul, later joined Won and the two started to appear on the international stage in 2011. At the PyeongChang Olympics, the duo is expected to battle against bobsleigh teams from Canada and Germany. Canadians occupied first and third in the world rankings, while Germans took second, fourth and sixth. 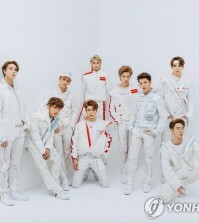 For Won and Seo, the PyeongChang Games are their second Olympics. Four years ago in Sochi, Russia, the tandem finished 18th.